Review Summary: The bigger the budget... the bigger the names... the bigger the hype hoopla and razzmatazz... the bigger the expectations from the film. Look out! Here’s a part epic love story-part crime caper, that’s folded in with some neat action. By the time you read this, men and women around the globe who drool over Hrithik Roshan are parading in the streets, dancing in the confetti of used ticket stubs even as they stand in line for another ticket. Kites received so many mixed reviews that we decided to ask you, our dear readers, to give us your take on the Hrithik Roshan-Barbara Mori starrer. It’s far from brilliant or even fully satisfying but it’s easily one of the better Bollywood films I’ve seen this year. The bigger the budget... the bigger the names... the bigger the hype hoopla and razzmatazz... the bigger the expectations from the film. In Kites, Barbara Mori's character presents herself as Natasha, the well-heeled fiancee of a wealthy casino owner's son, Tony. It's been awfully long since one saw Hrithik Roshan do his thing on celluloid. A Hrithik Roshan film, after a gap of two-and-a-half years, comes with a lot of expectations. Kites requires a bit of patience. Watch it without any distractions and you might just about like it. 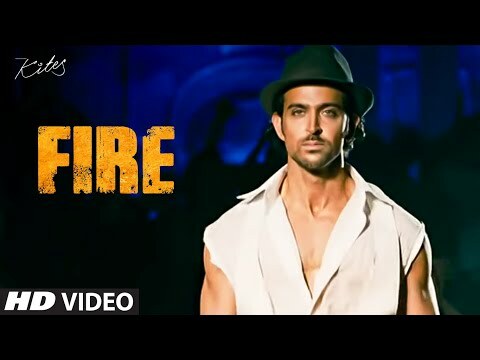 The much hyped Hrithik Roshan starrer with a Mexican bala Barbara Mori as his costar, a decent helmer like Anurag Basu and a reputed banner like Rakesh Roshan's Filmkraft which has given quality entertainers in past turns out as a major disappointment. The first few reviews of Kites are out and most of them are extremely positive. Keep watching this page (bookmark it), we’ll be adding all the Kites reviews here, as many as we manage to find. 7 Reviews so far..